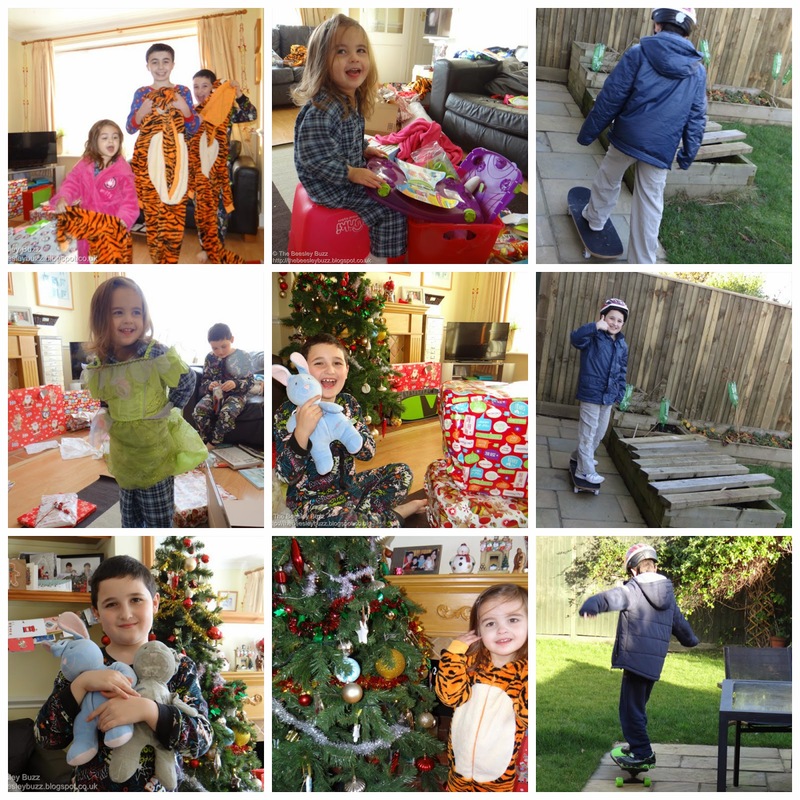 I had planned to stay off the computer until at least the new year, but couldn't resist picking out some of my favourite Christmas photos to pop onto the blog. Before we log off for a bit of a blogging break over Christmas, we thought we'd share one last recipe on here...Something a bit different to make with those turkey leftovers. Leading independent wine merchants, Yapp Brothers, want to hear about bloggers festive recipes along with a wine pairing to match your meal. So here's our fabulously festive 'Turkey Parcel' recipe which also happens to be the perfect way to use up that leftover turkey. 1. Pre-heat the oven to 180C. Take the filo pastry out of the fridge a short while before using. Melt the butter on the hob. 2. Cut the filo pastry sheets into smaller pieces. I cut each sheet into 4 rectangles. You will need enough of these smaller rectangles to have around 4 'layers' on each parcel. 4. Keep adding your fillings by placing a little cranberry sauce (this is one time to NOT go overboard with the cranberry, you just need a little to add flavour and moisture to the parcel), a small piece of feta cheese and a few pieces of chopped walnuts. 5. Then fold your filo around the filling to make your parcel. Lightly brush the edges with butter to help 'seal' them. 6. Place onto a lightly greased baking tray and bake for 20 minutes in the oven at 180C. 7. Whilst your festive turkey parcels are cooking in the oven, you can prepare the salad. Simply cut the orange segments removing any pith and skin so you are left with just the very juicy segments of orange. Add to your mixed salad leaves along with the finely sliced fennel bulb. Finally add a handful of dried cranberries. 8. Remove the Turkey Parcels from the oven and serve with the salad. Now for the most important bit - Getting the right wine pairing for this recipe. I have to confess that I sometimes struggle with wine pairings. It can easily get a little daunting with the 'advice' you hear in the media. But a good independent wine merchant is like having an expert friend who really does know their stuff and will help you make the right choice when it comes to wine without making you feel foolish for asking questions. I came across a brilliant food pairing guide as a starting point on the Yapp Brothers website and they regularly update their blog with food pairing ideas too. After a little research and combining it with my own experience, the wine I would match with this recipe either the Pinot Noir Stephane Brocard or the Alsace Pinot Gris. I chose these options because I feel they work well with both turkey and cheese. I believe they would also hold their own sufficiently with the cranberry flavours used in the recipe. I hope you like my Festive Turkey Parcel recipe and the wines I've chosen to pair with it. You can find out more about this Festive recipe blogger challenge here. Ruby Redfort - Feel The Fear: Book review and competition info! To say we are Ruby Redfort fans is an understatement. A huge understatement. Ruby Redfort would come very high up on our list of all time favourite characters. She is one cool kid. But not just any ordinary kid. This thirteen year old is an undercover code-breaking secret agent. Highly intelligent, very likeable, and mega cool, Ruby Redfort appeals to both boys and girls. Despite the main character, Ruby, being female, the book covers and storyline are anything but girly girly and so J has tremendously enjoyed reading the previous three Ruby Redfort books. We even reviewed one of the previous books, Ruby Redfort: Catch Your Death, on the blog here. Ruby Redfort books also represent great value for money. J usually gets through a new book in a day or two, but thankfully the Ruby Redfort books keep him busy a bit longer. This one is 57 chapters long. We are currently on Chapter 6. So this won't be a full review of the book, but we are so excited by this new book that we couldn't wait any longer to tell you about it. There's a fabulous Feel The Fear Trailer here to whet your appetite and we can tell you that from the first 6 chapters we've read already, Ruby Redfort fans will not be disappointed. We've already seen Ruby dice with death once again, she's been called in for a telling off by Spectrum boss LB and we're just starting to get a few clues about what the big puzzle to solve is in this story. It's really gripping stuff and we find ourselves itching to read more. We are also really excited to see an awesome creative competition. We love our creative comps and this one is on the kids list of things to do over the Christmas hols. You need to download the tee shirt template, design your own Ruby Redfort T-shirt, then upload your design. You can find all the details for the competition here. You could win a £50 ASOS voucher and see your design printed in the next Ruby Redfort book along with a signed copy of Feel the Fear. I love this competition and I know the kids will want to enter this. Do make sure you read the T&C's though as it's only one entry per household rather than per person so my kids will have to decide whose entry we will be uploading. You can find out more about Ruby Redfort on The Ruby Redfort Facebook page and I know you're bursting to know where you can buy your own copy of this awesome book so here's the link if you want to buy your own copy and see just how cool this girl is. This month she's started saying 'thank' instead of 'thank you'. She's been saying 'thank you' for ages but must have heard us saying thanks but she says it without the 'S' at the end so it ends up being 'thank'. She seems to have discovered that she enjoys playing with the train track and does rather like Thomas. We kept this train track from when the boys were younger and she enjoys playing with it a lot. She also gets very excited about wearing her Thomas pyjamas (another hand-me-down from her big brothers). We've had to start to keep an eye on the snacks she's eating a lot more closely and I've had to hide the crisps and mini cheddars. She had found the cupboard where they were kept and would regularly ask to have a pack for a snack. Now she's moved onto having a whole apple for a snack (she asks for the 'whole packet' meaning the whole apple rather than sliced). She has REALLY got into watching The Moshi Movie. Admittedly it is a great film for moshi fans but even J who is totally moshi obsessed has been known to get fed up with it when Miss T puts on the DVD for the 5th time each day! She has a couple of Christmas parties coming up this week so it will be interesting to see how she finds them. Last year and the year before she wasn't old enough to really understand and appreciate Christmas fully so this year will be a really special year. 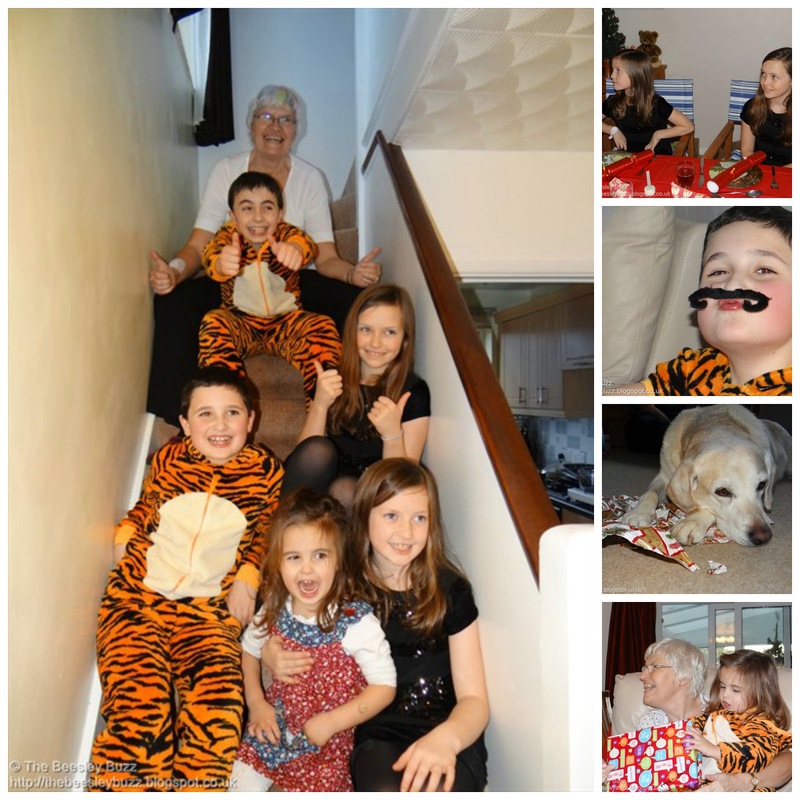 This was her update from last Christmas and I don't seem to have done one the year before as she was quite young then. To all outward appearances, Rachel Teller is in a happy, loving marriage with a devoted and successful husband, David. But the big house, fast cars, and expanding and profitable business mask the truth of an unhappy, loveless relationship based on control and abuse. We learn within the first two sentences that Rachel is having an affair. She is clearly not happy with her home life, but is too afraid to make a change. Within the first few pages we witness Rachel knocking down and killing a man who was walking along a country road. She hides the body, but confides in David. He then destroys the evidence, and insists that they have to carry on as before, as though nothing had happened. Using flashbacks to her childhood and recollections of her early marriage with David, we gradually understand the horrors Rachel has endured over the years. We start to see what may have caused what slowly becomes a slide into depression and mania. Wracked with guilt, Rachel is determined to try to make amends for what she has done, but David continually stops her. Her drunken indiscretions become more apparent, and the wrath of her husband more dangerous. As I read this compelling book, I kept longing for Rachel to make a wiser choice, to change her course. But with the years of abuse, neglect and control over her, she seems destined to follow the same path. With a depression and self-loathing hanging over her, her options appear limited, and she is drawn back to a place of hurt, pain and destruction. This debut novel by Rebecca Whitney is set in and around Brighton, and brilliantly tells the life of its main characters with a glimmer of hope just out of reach. This is a great book and will keep you hoping and rooting for Rachel right to the end. 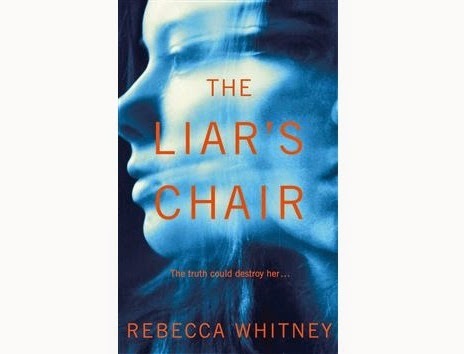 The Liar's Chair, by Rebecca Whitney is published by Pan Macmillan and available to order from their website. The kids have been so lucky lately with so many Nintendo games to review. Since our special Nintendo Day in October, they have reviewed Sonic Boom: Shattered Crystal featuring everyone's favourite blue hedgehog, Disney Magical World with some of my favourite classic Disney Characters, and they were desperate to get their own copy of Kirby Triple Deluxe so we bought that for them as an early Christmas present (well it was more of a 'well done' present) and they even wrote up a review of that. The latest game they've been asked to review as Nintendo Family bloggers is Pokemon Alpha Sapphire for 3DS and 2DS. When it comes to kids toys and games, I'm usually pretty clued up and really get into it as much as the kids do. For example, I'm pretty good with knowing all the moshling names - well for a grown-up anyway. But I must confess that the one thing I struggle to understand is Pokemon. This is where D gets really frustrated with me as he digs out his Pokemon annual and tries to explain to me for the umpteenth time which Pokemon evolves into something else and gives me the fact profiles about each one. And I still don't understand! But when it came to reviewing the Pokemon Alpha Sapphire game, what I do understand is that both J and D have been mesmerised by it and squabble to take turns playing it as they both love it so much. It keeps them totally engaged and entertained for ages (making it great for long car journeys for example). Pokémon Alpha Sapphire is awesome! You have your own character and you get a Pokémon at the start. Then you have to battle Pokémon and get poke balls. You use the poke balls to capture Pokémon and use them to battle. You adventure around different towns. I would give it 10 out of 10. As J is less 'into' Pokemon than D, then what he has said about the game here really is praise indeed and means that as a game it must be pretty good in its own right (ie not just because it is Pokemon themed). You can find out more about the game here . Both the Pokemon Alpha Sapphire and it's counterpart, Pokemon Omega Ruby are also available as 2DS and 3DS console packages. These would make an absolutely super gift for Nintendo fans and Pokemon fans. The kids received a Nintendo 2DS console for Christmas last year and it has been really well loved and well used. They were lucky enough to receive a second one from Nintendo earlier in the year for review purposes so that they now have one each. We'd highly recommend them as a fantastic handheld console at a price that offers great value. A couple of months ago we had a very special day out at a Nintendo Blogger event and got to find out about all sorts of fabulous new Nintendo games. We've since been fortunate enough to try some of those out as Nintendo Family Bloggers (as well as buying a Kirby game as a special treat for the boys too). Whilst both J and D have enjoyed playing it, they said that it would probably appeal more to children slightly younger than them (so perhaps aged around 6-8). Here they give a brief overview of the game and despite what they thought about the age group, they would still rate it 8 out of 10. On Disney magical world you create a character that looks like you. Then you go around the island helping out Mickey Mouse and his friends. You can unlock different places by collecting stickers. I think this game would appeal more to someone a bit younger than me. It's definitely worth watching the trailer here to get a really good feel for the game, I loved seeing so many of what I consider to be the 'classic' Disney characters; Micky and Minnie, Pluto, Donald Duck - it really felt like a blast from the past reminding me of all my childhood favourites, yet with a contemporary game using mii-style creation. Thank you Nintendo for the opportunity to review this game. Mumsnet and Michelin have conducted a recent survey and produced this thought-provoking infographic. This infographic has certainly made me think again about tyre safety in our household. I am definitely guilty of leaving tyre maintenance to daddy to do but as that quote in the infographic states, actually 'Everyone should be responsible for their own safety'. We do check tyre-depths and pressures regularly and we absolutely believe in buying a better quality brand of tyre. My in-laws experienced a tyre blow-out on the motorway several years ago. Thankfully they escaped unharmed but their vehicle experienced a huge amount of damage. After that both they and we replaced all our tyres for properly branded, good quality tyres. It is just not worth the risk when it comes to the safety of family to cut corners and try to save money on tyres. Safety and quality has to be number one priority for us. 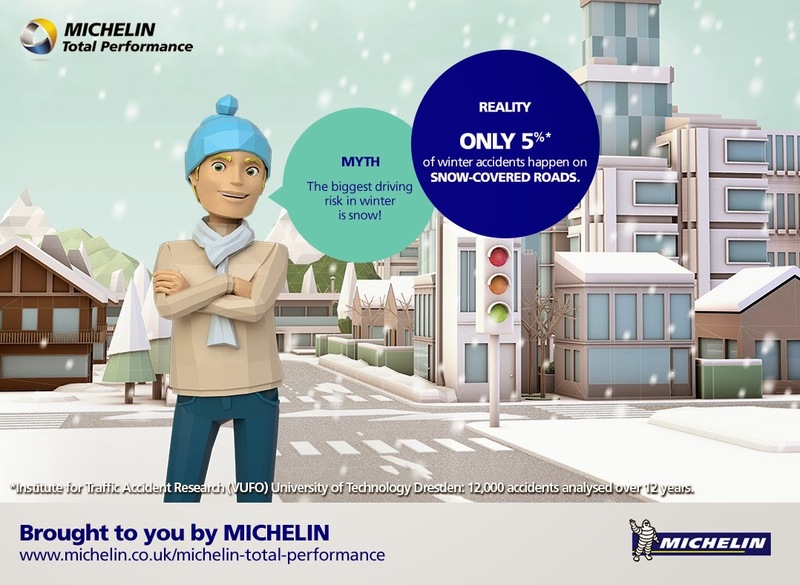 Only 19% referred to the importance of tyre labelling, indicating that tyre labelling remains less understood than perhaps other labelling – for example the environmental ratings used on white goods (fridges, washing machines etc) – Michelin say - did you know that tyre labels include a rating for wet braking stopping distances? ...and indeed seeing the damage that the blow-out did from having cheaper tyres, I'd definitely agree that 'not all tyres are the same'. Michelin Total Performance brings together an optimum mix of performance areas such as grip, long-life and fuel saving without a trade-off. Michelin tyres are the best match for the daily driving challenges that Mumsnetters face. This infographic has certainly got us thinking about tyre safety and maintenance. How often do you check your tyres? Who looks after this aspect of car maintenance in your family? Disclosure: As part of the Mumsnet Blogger Network I am happy to share this infographic and some of the survey findings. The infographic, images, survey findings and video have been provided by Mumsnet/Michelin. I have not been paid for this post although participating bloggers will be entered into a prize draw. We were sent a 4 bar pack of Chocolate Picture Maker to do a video review for. The kids absolutely loved making their own personalised bars of chocolate... So without further ado, here is the video review. Chocolate Picture Maker is available in a 1 bar, 2 bar and 4 bar pack and it can be purchased from Amazon here for the 4 pack and here for the 2 pack. I love how easy it is to melt the chocolate - no need for pots, pans or even a microwave, the chocolate simply melts in a bowl of warm water. I helped a little with the initial dark chocolate outline, but then the kids were able to work pretty independently which was great. The instructions are really straightforward, using the dark chocolate for the outline, followed by white chocolate to infill the design and then milk chocolate to create the rest of the bar. There's no setting time to wait for the dark chocolate and white chocolate - you just keep going until it is complete and then pop the whole thing in the fridge for 20-30 minutes to set. Because the chocolate has been pre-tempered, it comes out beautifully glossy and smooth and tastes great. Whilst the product is aimed at children, it is a high quality Belgian chocolate in the product, unlike some kids chocolate which is packed with yucky tasting vegetable fats. I can't wait for the day when all chocolate is fairtrade - then this product would be completely perfect! This would make a great Christmas gift. Although there are plenty of design stencils provided in the pack, you could easily print or draw some Christmas themed designs to give this a seasonal twist. If you like giving gifts with a personal touch, then this would also be ideal to make some personalised chocolate bars for friends, family or even your school teacher. Just pop the finished bar of chocolate in a cellophane bag and tie with ribbon for a perfect handmade gift. For a chance to win a kit of your own, just follow the rafflecopter instructions below. Entries will be checked. Being right in the middle of the festive season, how could we avoid baking some mincepies. It's something the kids enjoy doing and J and D have made them before but Miss T had not. So we thought it would be the perfect opportunity to use the Lurpak Cook's Range products we had been sent to try out. I was also keen to try making some Mincemeat Shortbread after being inspired by seeing a 'free from' version on The Free From Fairy. We made up our own recipe for it because we didn't need to do a free-from version. Both the mince pies and the mincemeat shortbread would need very similar ingredients so it was really quick and easy to bake both recipes and we were even able to use the same mixing bowls etc without having to wash up first. We often come across recipes requiring 'softened' butter but I'm rarely organised enough to get the butter out of the fridge in time to soften. So I wondered whether the Lurpak Cook's Range Cooking Liquid would work as an alternative to softened butter in these recipes. It's so simple to make - Simply cream together the Lurpak Cook's Range Cooking Liquid with the sugar, then add in the flour and the mincemeat and mix together. Miss T found it really easy to cream the Cooking Liquid and sugar together - Much easier than if we were using butter. As Miss T was helping, we thought we could roll the dough and cut into circles to make shortbread biscuits. With the leftover shortbread dough, I also filled the base of a small loaf tin which would then be cut into shortbread fingers once cooked. Lightly prick the dough before cooking. You could even very lightly score some lines on there to make it easier for cutting once cooked. We've discovered that another of the Lurpak Cook's Range ingredients is PERFECT for greasing baking tins with. The Lurpak Cook's Range Cooking Mist has come to the rescue in all sorts of situations. It makes greasing tins a breeze. So BEFORE pushing your dough into the loaf tin, just give the tin a quick spray with the Cooking Mist first. The round biscuits were placed on a baking tray onto baking paper. Then both the biscuits and the loaf tin version of our shortbread went into a preheated oven for 20-25 minutes at 170C. I noticed that these did brown very quickly so if you like them less golden, you can bake at a lower temperature for longer. You'll know your own oven best. Prepare a 12 hole muffin tin by spraying with Lurpak Cook's Range Cooking Mist. This prevents the mince pies from sticking in the tin. Then mix together the plain flour with the Lurpak Cook's Range Cooking Liquid and water to form a pastry dough. 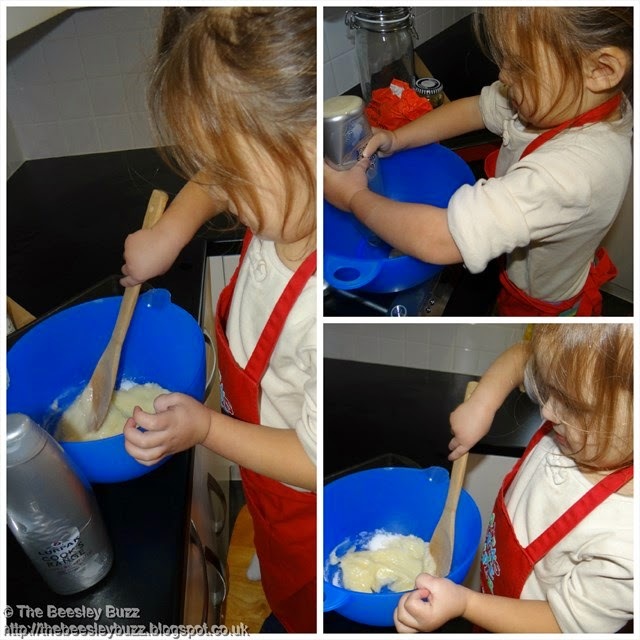 Roll the dough thinly and cut circles. If you don't have a cutter to make the circles big enough for your muffin tin, then improvise by using a large glass or cup or failing that, cut with a cutter and then roll the circle a little more to make it bigger. Pop the pastry circles into the muffin tin and then fill each with a little mincemeat filling being careful not to overfill. Cut a pastry star to pop on top each one. Because the Lurpak Cook's Range ingredients help to brown your cooking beautifully in the oven, we actually used a lower temperature for the mince pies and baked them for longer so that they didn't brown too quickly and to ensure they were cooked thoroughly. So we baked them at 160C for around 30-35 minutes. We've not only used the Lurpak Cook's Range ingredients for baking but for all sorts of other cooking too - but hopefully this will show just how great the Lurpak Cook's Range Cooking Liquid is to use in place of softened butter in these two simple festive recipes. The Lurpak Cook's Range Cooking Mist really is an absolute dream to use - spraying evenly and lightly. Perfect for greasing tins speedily and effectively. Thank you Lurpak for sending us these products to try out! 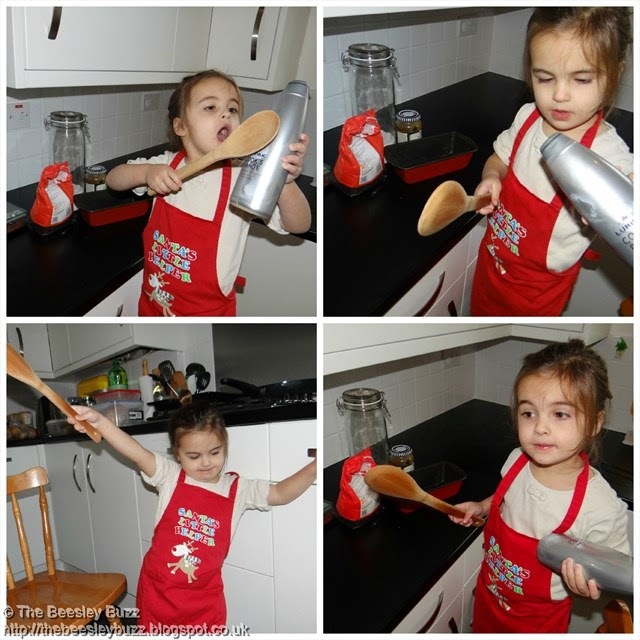 Kids in the Kitchen: My Champ! 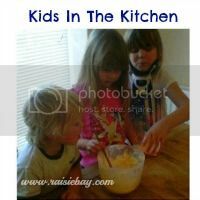 We have something a little different to link up to Kids in the Kitchen this week. Different and very exciting! We thought meeting Mary Berry last month was mega exciting after D's cookies won him first place in the junior bakes category at the Bakes and Cakes show. It had come as a total shock to him (and us). It's not that we don't believe in him, we really do but because both myself and Richard are not very talented when it comes to cooking, we just don't feel that he has the best role models or mentors for cookery. So we were once again in for a surprise when D got through to the final of a county-wide cookery competition. They'd had 167 entries and he was selected as a finalist and invited to cook at the live final. He'd made it to the final once before, 2 years ago when he was just 6 years old. It was seeing him cook then in a big professional kitchen with such calm and confidence that made us realise just what a natural flair for cooking he has. It was then that he started his blog and named it The Brilliant Chef, which is what he wants to name his own restaurant when he's older. Anyway back to last Thursday. He was in the family category which meant that I was there cooking alongside him. Last time he insisted on doing all his own cutting, prepping and putting everything together. I just helped with the hob as it is a huge, very hot, industrial hob. This time his meal was more ambitious and when he had practised the previous weekend, it was very tight timings to get two courses done in the two hours. This time he felt nervous. I wonder if he felt a subconscious pressure of having to do well after the Mary Berry experience. After all, his cookies had been judged as the best bake by none other than master patissiere Eric Lanlard. But we kept reminding him about just how much he had enjoyed the experience last time. We told him that it was a huge achievement just to have made it to the final. Big brother J even made him a very sweet card reminding him it was all about having fun. He kept his cool in the kitchen, he stuck to the recipe as he is so good at doing, he knew his stuff when the judges came round and quizzed him about why he was adding seasoning, and what type of nut he was using. They looked impressed as they watched him peel the garlic using a huge knife blade laid flat over the garlic and then punched using a fist. He took pride in presenting his cooking making sure the plates were wiped clean and that his food looked good with a little garnish to add colour. He was confident in asking for any kitchen equipment he needed in what was a huge and unfamiliar kitchen. He double checked the weight of the ingredients that had been pre-weighed to make sure everything was accurate. He just did brilliantly. We were so very proud of him. And when they called his name out as winner, I could have cried with happiness. He was shocked and we were shocked. He's an amazing lad and it turns out he really truly has turned out to be a brilliant chef too. This week's Striking Mums over at Kate on thin ice is around the topic of thanksgiving and being thankful. 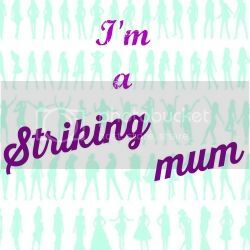 I've started to wonder what can of emotional worms will be opened up each week as the striking mums posts end up becoming a bit like a weekly therapy session for me. But in a good way. It's like opening up the box of memories, taking a peek in manageable doses and then packing it up again to be opened another time. A big thing that I often take for granted is good health. As soon as any of us is poorly, even with coughs and colds, I realise just how unthankful I've been for our health. I'm also really thankful that since taking the GOPO rosehip supplements my back pain has been a lot more manageable. D has only had one further episode of hip pain since he last saw the doctor and his blood tests and X-rays came back clear of arthritis. Although it is something I'm going to keep a close eye on, so far, we can be thankful that it may not be the arthritis that we feared. I am also very conscious of J's return to school. He is doing so unbelievably well. I don't use the word unbelievably lightly as his previous experience of school had been a very different story that there were plenty of people who would not have believed that he could ever do well at school. Yet he's proved them all wrong and done us all proud and I am thankful for that everyday. We had got to the point of thinking that we would never see him happy and fulfilling his potential within a school setting so we are truly thankful to all his teachers at his current school who have believed in him and cared about him. After his appointment as vice house captain earlier in the year, he rushed home recently telling us that he has now been promoted to house captain as the previous house captain had misbehaved and been stripped of the title as a result. 2. Looking back on your life, is there someone you now feel deserved your thanks and you never got round to saying it? These posts always seem to trigger memories of my mum. Because I only became a mum myself after she passed away I never got to thank her for what an amazing job she did being my mum. 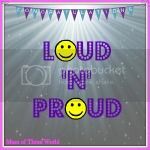 She brought me and my brother up as a single mum and given she had a lot of difficulties of her own, I stand amazed when I think of how she managed to do it. My mum had a couple of elderly friends who were almost like the grandparents I never had. I never knew either of my grandfathers and very very rarely got to see either grandmother - perhaps only a couple of times in my lifetime- and then they both passed away when I was in my teens. So this wonderful elderly couple, who were neighbours as well as friends, became like grandparents to me. We were always welcome there anytime with no need to make arrangements beforehand. They were so strong both physically and emotionally and lived independently right to the end. They were truly good people. They were an inspirational couple and I never realised it at the time but they were a source of stability by being there no matter what. They took my mums death really badly and were so so upset for such a long time. Sadly neither of them are around today and it felt like the end of an era when the gentleman passed away a short while after he lost his wife because they had been there for as long as I could remember and I imagined they would somehow always be there. He lived to a grand old age - well over a hundred. I'm so glad they got to meet J and my memory fails me with exact dates but the gentleman would also have met D. But I wish they could have known just how special they were to me and what an important role they played in my life. 3. Who should thank you and why? I remember a friend once saying that when you do something for others or you give something to others, you shouldn't expect to be thanked. If you get a thank you, then that's a bonus but do it without the expectation of thanks. That has turned out to be a good bit of advice. There are times I've felt that I have gone above and beyond the call of duty, whether it was a work situation, a friendship situation, family situation or other situations and whilst I would have been sure to say thank you had the roles been reversed, when I didn't get a thank you then I had to remind myself of that advice. Having said that, these days it is quick and easy to send an email or text message to say thanks so I think more people should make the effort to. I hope that I do remember to do it too as there are times that thank yous do unintentionally slip through the net. 4. What leads you to count your blessings? My family. My children. I usually don't settle to sleep very well because I spend ages telling Richard what cute and lovely and funny things that Miss T has been doing that day. When she asks for a cuddle, I try to stop what I am doing and cuddle her as I know all too well that soon the day will come that she won't ask for cuddles anymore. I love looking at photo albums and I see how the children are growing up, I remember our happy memories, I remember what a blessing they are. With a 6 year age gap between D and Miss T, I remember being amazed once again at the wonder and miracle that is a new born baby. I remember really believing that she is such a blessing to us. Growing up I had only ever imagined having a maximum of two children, it was only when J came along and then D that it didn't feel that my family was yet compete. So to have Miss T making our family feel complete feels like a blessing. Although I had imagined myself with three boys, having her has made me realise that it has been an extra blessing having a little girl because I never imagined having a little girl. Having 4 sponsored children around there world is also a blessing to us. Their letters are filled with such hope and joy despite their circumstances. Sadly there are too many children in the world who go to bed hungry each night - it makes me count my blessings that we have food, shelter, warmth and everything we need. 5. Apart from saying thank you, how do you express your thanks? I'm probably not so good at this. I can write a note, or email to say thank you, but even saying thank you verbally is harder for me. I blame it on my dad. He didn't like us to show emotion and didn't like us to say thank you to him. As part of my issue of feeling undeserving that I mentioned on my last striking mums post, if anyone does something nice for me, I struggle to just accept it and I feel I 'owe' them something back. I remember when J was born we had some lovely church friends who brought meals round in the first coupe of weeks. To thank them, I'm sure a little thank you note would have been enough, but we bought a box of chocolates for each of them. It ended up costing a small fortune at a time when finances were really tight and it probably left them feeling awkward too. So that is a learning point for me. I need to be able to accept help, kindness etc without feeling obliged to do something in return. I also think it is important to remember just how meaningful and special our words can be. When I was childminding, I used to have the loveliest thank you notes written to me and those words meant so much more to me than any thank you gift. So that's this weeks therapy session done. Thanks kate for those questions. Christmas is a magical time. Miss T walks around and announces 'Love Christmas' at any mention of the word or any sign of a Christmas tree or decorations. So it was especially magical to experience our first visit to Build-A-Bear Workshop in the run up to Christmas. The store itself reminded me of a magical elves workshop with so many different types of cuddly toys to choose from. The walls were lined with a huge selection of bears and cuddly toys and there was an enormous selection of outfits and accessories too! The range is enormous. As well as bears, there was the Christmas range of beautiful reindeer as well as a Frozen themed selection of bears and Olaf the snowman of course! We were also delighted to see a Pudsey bear option and the wonderful Spots of Fun Pup that we blogged about here. Build-A-Bear have teamed up with Children in Need and a portion of the proceeds from sales of Spots of Fun Pup will be going to the charity. There were also a number of Children in Need themed accessories and outfits too. I have to confess that in the run up to our visit, I was just as excited as the kids. I had heard so much about Build-A-Bear Workshop that I just couldn't wait to see it first hand. In my mind I was imagining which toy each of my children would choose. I wondered whether Miss T would pick Olaf because she loves him so much. D is also a Frozen fan so would he opt for a Frozen character? J had been mega-excited to hear about the Spots of Fun pup as he is a big fan of Children in Need but would he change his mind when he saw the other options available? Whilst the selection is huge, the kids didn't take as long as I expected to settle on their choice of cuddly. J did indeed pick out Spots of Fun pup. Miss T chose Rudolph from the Christmas range with his awesome light-up nose and D went for a Batman themed bear. Cuddlies chosen, next it was time for choosing a sound. You can press the buttons to hear all the options. Again Frozen featured on the sounds too with Let it Go and a couple of other Frozen songs being available. Miss T chose a very apt 'Rudolph the red nose reindeer' song for her Rudolph. J chose a dog's woof for Spots of Fun Pup, and D couldn't decide what sound he wanted in his Batman themed bear. He was tempted by the Star Wars sounds but then decided to record his own with the 'Build-A-Sound' option. Then the Bears have their stuffing put in from the huge machine which is a real centerpiece in the store. Without this machine, the toys would remain pieces of loose fabric but this machine is where the real magic happens to bring them to life. You can choose a 'Scentiments' fragrance for your bear. There are options of bubble gum, cupcake, gingerbread, cotton candy, and strawberry to choose from. This bear shaped fragrance gets popped into your toy along with the stuffing from the machine. There is a pedal that the children got to press to get the stuffing flowing into the toy. 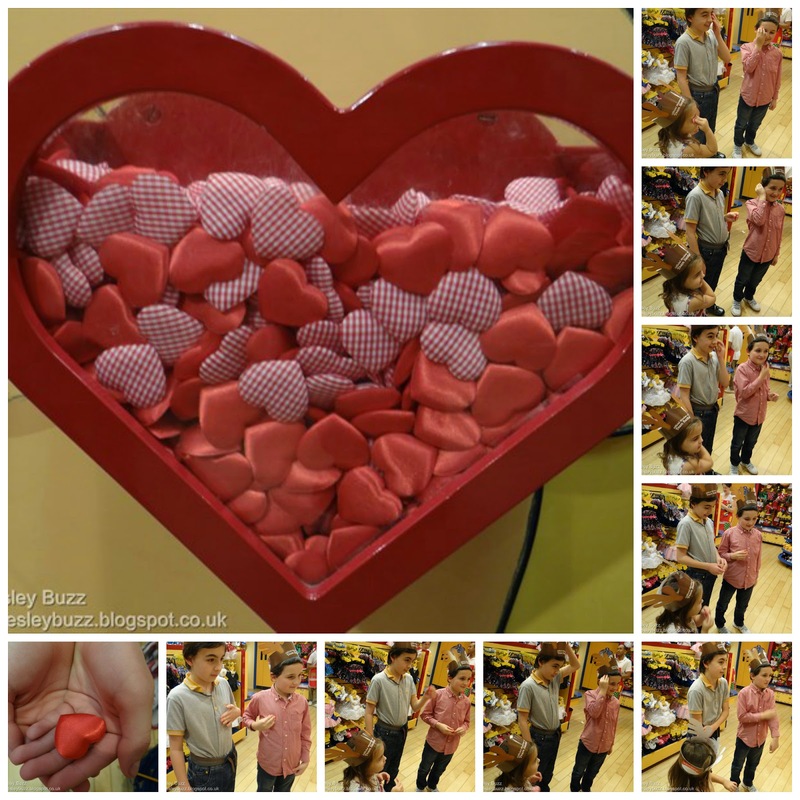 There are also buttons to press where you can add oodles of love, kindness, friendship and hugs 'n' kisses. But Gwen knew a better way to give our toys all that and more. When it was time to choose the 'heart', she led them in a little ritual by doing things like kissing the heart, rubbing it on your head to make your toy clever, rubbing it on your ears and eyes so that they can hear and see, and rubbing it on your legs to give them strength and speed and my favourite, rubbing it on your cheek to make them a little bit cheeky. This part was such fun and I wasn't sure if the children would go along with it but they did and they loved it. The heart is then carefully sealed inside along with a barcode which can help reunite children with their bears should they lose them. Next its time for a bit of pampering. There is a special station where you can 'wash' (with air) and brush your toy to make them all soft and fluffy. 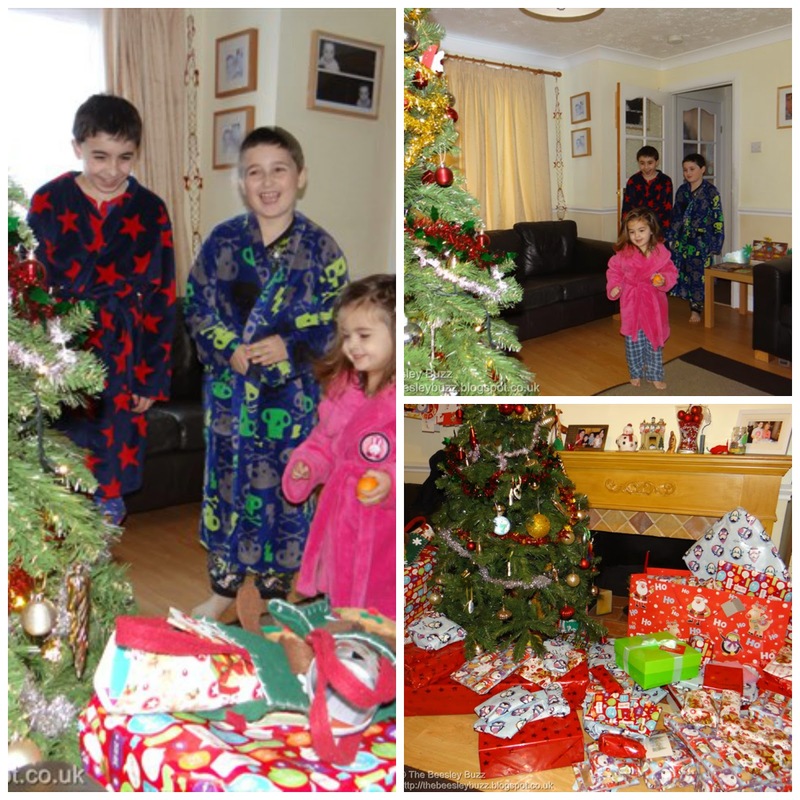 By this point the children had each been given a shopping basket for their toys and it was time for even more fun and plenty more choice by picking an outfit out of the really massive selection available. As well as clothes, there are also lots and lots of accessories available including skates, sunglasses, a bear version of a passport called a 'pawsport', chairs and seats and lots lots more! Again this didn't take as long as it could have done because Miss T was drawn to an eye-catching sparkly reindeer dress (yes there was a selection of clothes specifically designed to fit the reindeer) and a christmas hat. D knew that he wanted his 'Batbear' to have a proper superhero Batman outfit. J was torn between dressing his Spots of Fun Pup in a Pudsey outfit or getting a different style of outfit. In the end he picked a Star Wars themed Jedi outfit. The toys get to try on their outfits so that you can check you are happy with your choice of outfit in their 'dressing room'. And the adventure doesn't stop there....Next it's time to name your bear at the naming stations. The computers were really child friendly and straightforward to use, even Miss T was able to press some of the buttons. Here you can also opt to register your own details so that if your toy does go missing, it can be reunited with you as the stores can retrieve the barcode inside and match up to the details they keep on file. Using the information you input on screen, a Birth Certificate is created and printed for your toy. This goes into a special box which doubles up as a house for your toy. Ours were Christmas themed and can be coloured in at home to really personalise them as a little house for our toys. You also get to keep your sturdy little cardboard hanger that the outfits come on which is a nice little touch. Having had a totally awesome afternoon, we said our goodbyes and came home with three new additions to the family. I loved how the boys undressed their new toys for bed and have really looked after them. Miss T introduced her reindeer, which she has named 'Christmas', to her beloved Hoppy and Patch. They all took their new toys to bed with them. Miss T's is standing guard by her cotbed to look after her through the night. Isn't Build-A-Bear Workshop too expensive? Well with Bear prices starting at £10 and getting such an amazing experience from building your own bear, I actually think that is jolly good value for money as you could easily spend far more on a regular 'shop bought' bear. Parties also offer amazing value for money. With a minimum of only 6 children and a starting price of £10 per bear it makes Build-A-Bear Workshop parties something that we will definitely be considering for birthdays next year. Isn't Build-A-Bear mainly for girls? In our household we've never stereotyped toys by gender. Both J and D had dolls houses and play kitchens and Miss T has cars and garages, so we would never consider bears or soft toys to be more for one gender or another. The huge selection of cuddly toys to choose from and the vast number of outfits and accessories really does mean that there is something for everyone. Is my child too old for Build-A-Bear Workshop. I personally think you are never too old for a bit of magic and excitement. Whilst I'd never make an older child come along who didn't want to, J is now 10, and D is 8 and neither are showing any sign of losing interest in their cuddly toys. They both still take their fave cuddlies to bed with them (which now includes their new Build-A-Bear ones) and they've both asked to return to Build-A-Bear again. We have another friend whose son is similar in age to J i.e. close to secondary school age, and also on the Autistic spectrum like J and his favourite thing is to go to Build-A-Bear Workshop. So I think there is added appeal for older children who are particularly into their cuddly toys in cases like this too. I don't have time to stuff my own bear. Why can't I just buy one ready made? It really is such a fun and special process that it is worth spending half-an-hour to an hour to do it but if you really don't have time to build your own bear, then there are some pre-stuffed bears ready to buy. Including the Frozen characters that are proving so very popular this Christmas! I've never been there before, do I need to book? No you don't need to book. Unless it is for a party, you can pop in without booking a time slot. The staff are truly friendly and passionate and will guide you through the fun process of building your own bear. If you've never been before, I really do recommend it as a fun family experience. My only regret is not going sooner! Thank you Build-A-Bear Workshop for such a fun afternoon and for our new cuddly toys. Disclosure: We were invited to try out Build-A-Bear Workshop for the purposes of review and the children received a toy each. All opinions are our own.